When you hear the word "accountant," do you immediately picture a middle-aged gentleman wearing round eyeglasses and a green eyeshade? Perhaps your thoughts turn to finances, taxes, and mathematics. In some circles, accountancy has been long perceived as a safe, mild-mannered, stable and respectable career choice, if not the most exotic or exciting of professions. That perception is changing, however, as accountants are becoming crime fighters and more and more individuals are growing interested in careers in forensic accounting. The concept of forensic accounting has a relatively short but fabled history, possibly starting with the man who brought down one of the biggest fish of them all, Al Capone. U.S. Treasury Department Special Intelligence Unit Agent Frank J. Wilson was tasked with going after the notorious gangster for tax evasion, ultimately resulting in his conviction and imprisonment. The term "forensic" means, in essence, "of or having to do with the law or courts." As applied to forensic accounting, it simply describes the job of an accountant who works within the legal system. Within this context, forensic accountants perform two broad functions: litigation support and investigation. Accountants who perform litigation support help provide information regarding losses from torts, as well as potential judgments and awards from lawsuits. They work with attorneys to determine what damages to seek. 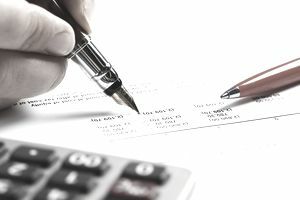 In some cases, the work of a forensic accountant providing litigation support can help resolve a case before it ever gets to trial. Forensic accountants who provide investigative services do so for both public and private employers. They scour books and financial records to locate evidence of fraud and other financial crimes. Investigative accountants use their knowledge of tax law and accounting practices to investigate all manner of fraudulent bookkeeping, including tax evasion, embezzlement and money laundering. They may also be called upon to assist in investigating crimes related to securities fraud and locating financiers of terrorism and criminal acts. Forensic accountants may be hired by private corporations to reduce and eliminate instances of internal fraud. They may also serve as or work closely with private investigators. Private forensic accountants may assist public law enforcement agencies with investigations or pass their findings to law enforcement for further action. Forensic accountants may also be found working within specialized units of local, state and federal law enforcement agencies. Some FBI agents, for example, specialize in financial crimes and fraud investigations. Forensic accountants may also find jobs as Secret Service agents and even NCIS agents. To land a job as a forensic accountant, at least a four-year degree in finance or accounting will be required. Forensic accounting is a specialized field with a relatively high salary potential, making it a much sought-after career. Because of this, it may be wise to earn a master's degree, as well, to stay competitive. In addition to a finance or accounting degree, forensic accountants must have strong analytical and problem-solving skills. Writing skills are also an important component of a successful career in the field, as are mathematics and finance. The American Institute of Certified Public Accountants offers a program to become certified in financial forensics. The program is offered to individuals who are already certified public accountants. Though it is not necessarily required to hold a financial forensics certificate, it can be very beneficial in the search for a job. Depending on where you choose to work, other requirements may also be imposed. For example, if you choose to work for a law enforcement agency as a sworn officer, you will need to attend a police academy. Due to the sensitive nature of the job, no matter where you work, a thorough background investigation will likely be part of the hiring process. The Federal Bureau of Labor Statistics estimates that growth in all accounting fields will be higher than average through 2020. In light of economic conditions, it is expected that the demand for thorough bookkeeping and accounting will steadily increase. It is also likely that the demand for people who specialize in investigating financial crimes and fraud will increase, creating a greater need for forensic accountants. Forensic accountants can earn more than $100,000 annually, especially in private practice. Federal law enforcement jobs are among the higher paying opportunities. Is a Career as a Forensic Accountant Right for You? Not everyone has what it takes to be an accountant, and even fewer can be forensic accountants. It is a potentially fascinating career that requires a unique and special skill set. If you're good with numbers and enjoy finance, and especially if you like the idea of following a money trail to help weed out corruption, graft and white collar crime, then a job as a forensic accountant may be the perfect criminology career for you.